Herring Gull HX091cy (argentatus), August 13 2010, IJmuiden, the Netherlands. 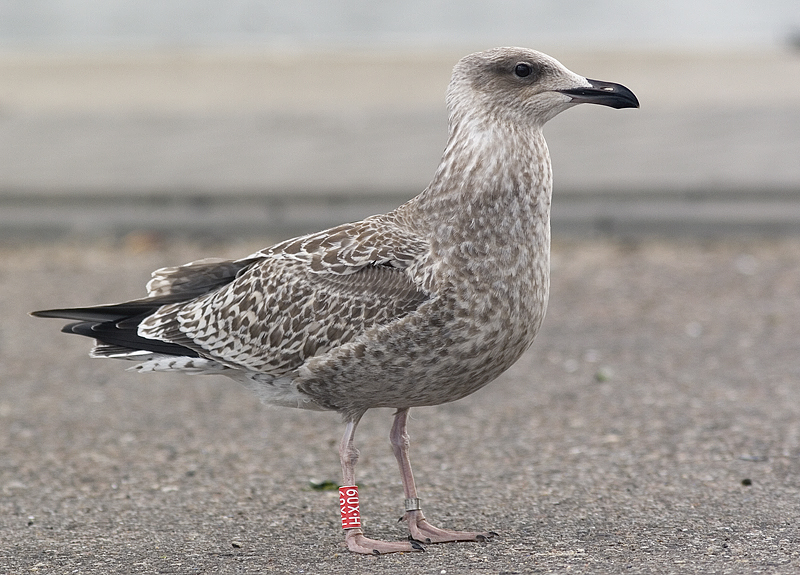 Juvenile from Germany, a project run by Sönke Martens on the small islands near Helgoland. Transition zone of argenteus - argentatus. This bird, HX09, is exceptionally early in the season already far south.